I came across this man in one of Beijing’s, Hutongs (alleys). 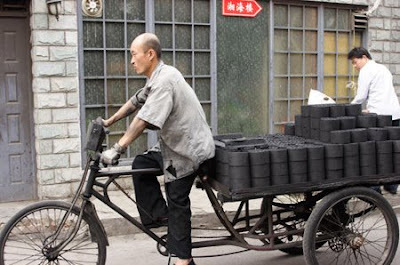 He was hauling bricks of coal to sell to the residents of the traditional courtyards homes of these neighborhoods where families have lived for generations. Coal fired stoves provide heat for these residences and double for cooking. As part of its attempt to deal with Beijing’s pollution in the run up to the Summer Olympics the government has been replacing coal stoves in Hutong communities with electric heaters. This photograph was taken more than two years ago. I wonder if this man is still in business. I saw a coal guy in Vietnam. It's a really weird thing to see since it's such a throw back in time. Made me feel like I had entered 1900.
this photo could have been taken 100 years ago and not look much different. Also the one below from Rome. We are now back in New York after two years in Morocco. Maybe you could get in touch? Are you back in NY for good? Thank you for the kind words. That is very nice of you to offer getting in touch with your daughter. I would love to see her web site. My blog e-mail is escapefromnewyork at hotmail dot com. 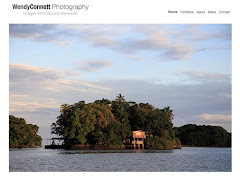 I have a photography web site and also sell through agencies. I can pass that info along via email. You pick very photogenic cities to live in! Since I changed my site around, you'll need to change the link to nomadicmatt.com the /blog.html url is no longer valid. The pollution we experienced in Bangkok was so horrible. I do worry about the athletes competing in poor air quality in Beijing. I found Shanghai to be really bad. The air smelled of sulphur.